The well known entrepreneur and Dragon on the BBC’s Dragon’s Den, Duncan Bannatyne, appears to have had the safety of his daughter threatened and a demand for £35,000 made on the social networking service Twitter by user @YuriVasilyev_. Since this news broke, the Twitter community has been getting involved in trying to find and name the person or people involved in this attempted extortion, with Bannatyne retweeting the most useful information people have dug up so far. This has resulted in the discovery of a linked Facebook and VK social networking accounts with many more details on the supposed criminal. With this discovery so quick and easy, however, it may be that the person found may have nothing to do with the threats and is instead being set up by the real gang. 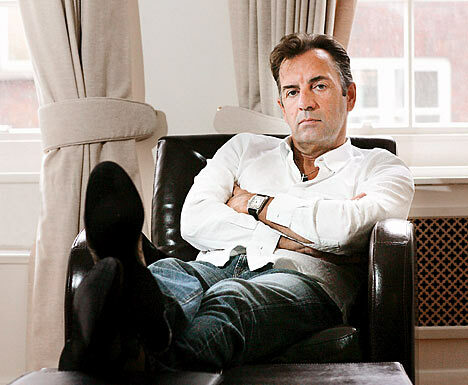 We shall wait and see how this unfolds and hope Bannatyne and his daughter remain safe. My name is Yuri Vasilyev and I’m looking for a £35,000 investment to stop us hurting your Hollie Bannatyne. We will bring hurt and pain into your life. We are watching her. She is very attractive. Want photos? Tweet using the hashtag #4money to confirm payment will be made. We are the men of Belarus. After previously offering a £25,000 reward for anyone to break the culprit’s arms on top of a £25,000 reward for capture, an understandable fit of rage – the Dragon has edited that offer to one offering £30,000 to anyone who aids his arrest and removing any mention of violence. I would just like to make clear that no-one has confirmed that the Facebook and VK social networking accounts that the Twitter community have found to be related to the email address are the accounts of the person making the threats (as Bannatyne has said himself). There are links, but it is possible the person who owns those accounts may be the victim of others impersonating him. Everyone wants the criminal(s) involved caught, and all digital investigating is useful – but before we get any confirmation from the parties involved or the police we cannot be certain of the identities of the culprits.